Another Day in Paradise is located in the Wonderful Four Seasons subdivision with incredible amenities for all and easy walking distance to Restaurants, Shopping and everything the Town of Duck has to offer! Boasting 7 bedrooms and 7.5 bathrooms there is something for everyone in this house. This classic reverse floor plan boasts the top floor with a large open kitchen, living and dining areas with gas fire place and a get-away nook for puzzles and board games. In addition is a bath and the spacious Master Bedroom. The mid-level offers 4 more Master bedrooms, 3 with King Beds and one with twins. The ground floor finishes off with 2 more bedrooms, one with twins and the other hosts a pair of double bunks with its own bathroom; and the 7th bedroom and bathroom that also opens to the game and rec room with a full size refrigerator and easy access to the fantastic backyard with pool and play area. 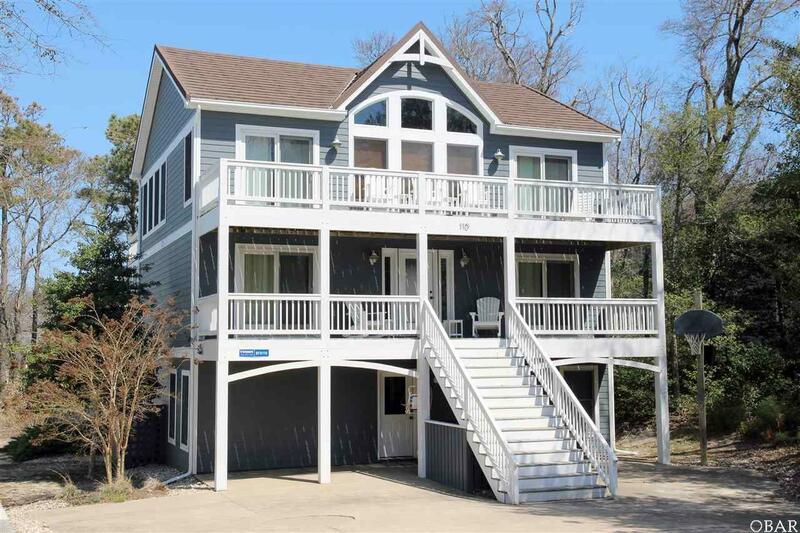 A convenient walk/bike path runs behind the house and straight up to the Beach access! Four Seasons amenities include a community indoor swimming pool, two tennis courts, fitness./workout room, game area, outside pool near the beach front AND a fantastic Trolley service to carry everyone throughout the subdivision whenever they want. The Town of Duck offers so many more activities, restaurants and shopping to fulfill every vacationers wants and desires! Listing courtesy of Cory Taylor of Southern Shores Realty.